Over the course of history, the word “political” has evolved from being synonymous with “public sphere” or “good government” to meaning “calculating” or “partisan.” How did we get here? 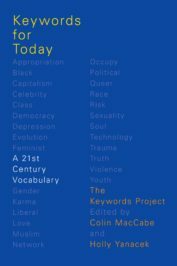 This adapted excerpt from Keywords for Today: A 21st Century Vocabulary explains the evolution. The problems posed by political result from a combination of the term’s semantic shift over the last several centuries and the changing face of post-national politics that have become so important since mid-twentieth century. One hallmark of modern politics is its asymmetry. Whereas the political was formerly imagined as practically synonymous with the public sphere, and with conflicts between institutions or nation states, now it can just as frequently designate conflicts between an individual and an institution, or between a non-national group and an ideology (e.g., between G8 protestors and police in various countries, or between the Taliban and ‘the west’). This shift has affected the linguistic fortunes of the words politics and political, as the adjectival and nominal forms have developed different connotations over the last several decades. The adjective political has developed to have two relatively exclusive meanings. Political has supplanted the now largely archaic adjectival form politic. Both forms derive ultimately from Greek polis, initially a city-state and then later, by extension, the body politic. In medieval usage, the adjective politik connoted that which was prudent, sensible, and sagacious, a meaning that continued even as the usual form migrated to political. The political as a realm of public speech was imagined as elevated and righteous, often contrasting the perceived benefits of constitutional governments against the characteristics of despotism or tyranny. In the mid eighteenth century, for instance, David Hume, in A Treatise of Human Nature, described the “security and protection, which we enjoy in political society” (1740), and a character in Oliver Goldsmith’s novel The Vicar of Wakefield (1766) shudders lest this rarified sphere be degraded by expanding suffrage. From the sixteenth century onward, another set of meanings came to be attached to the term: against its more elevated connotations, political came to mean “cunning” or “temporizing.” Today, the political sphere may more readily be imagined as contaminating the common man rather than the other way around. To call someone “political” is rarely a compliment. The adjectival form that once connoted good government, which was synonymous with “judicious” and “insightful,” now activates an altogether different set of connotations: “calculating” and, perhaps more of a piece with our political moment, “partisan.” The crux of this semantic fall from prudence to mere expediency seems to lie in a correlative historical shift: politics, once viewed as a space of quasi-transcendental stability, is now viewed as an arena of profound contingency. The adjectival form political has become weaponized in recent years, with more pervasive use of terms such as political animal and political agenda together with the advent of political correctness and the PAC, the political action committee that has taken over American politics in the wake of the 2010 Citizens United decision. (What does it mean that “political action,” rather than the government or an identifiable political party, is the primary engine of US politics now?). In the US, the noun politics seems to have been superseded in current usage by what we might call the “political plus noun” formula. What has happened is less that politics has migrated from the public to the private spheres and more that the political can take place in many different arenas, with many different types of agent participating simultaneously. We have moved from the sphere of politics to the political because the language needs to describe the contingency of shifting assemblages of political actors that do not fall completely or easily within a particular domain of discourse. Those actors may include institutions (the European Union, Burma), individuals (a chancellor), non-governmental collectives (WikiLeaks, the IRA), or even non-human actors (global warming). In such a world, the political, with its ability to follow the dust of migrating geopolitical animals, may seem a nimbler alternative to a more static, public sphere-identified politics. Featured image credit: “Blue Building Pattern Freedom” by Pexels. CC0 via Pixabay.